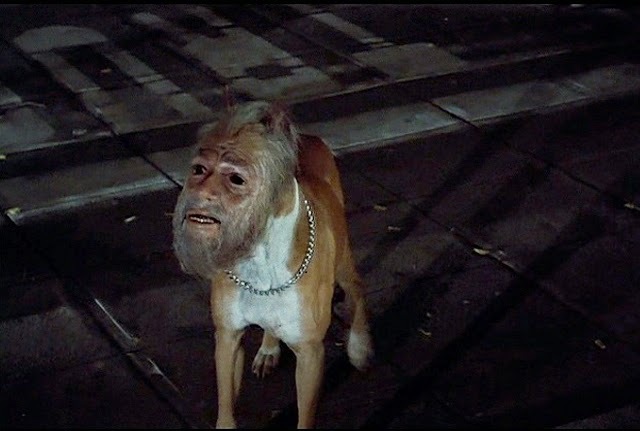 Movies At Dog Farm shows its new face after assimilation. Movies At Dog Farm hasn't branched out into podcasting yet, but I finally got my first taste this week when Carl at The Info Zombie invited me to guest on The Info Zombie Podcast #73. Carl and I discuss how we became acquainted with each other, how this blog first came to be, the upcoming Movies At Dog Farm live event, the Phantasm franchise, and just exactly how friggin' old I am. Hint: VHS didn't exist back when I first dipped a toe in the bloody pool of horror. Thanks to Carl for inviting me to guest on his show and effectively busting my podcast cherry. It was a pleasure. If you're so inclined, you can listen to the end result below or by downloading The Info Zombie Podcast #73 on iTunes. Be sure to subscribe to Carl's podcast while you're visiting iTunes, and check out all of the other goodies on display at The Info Zombie website, as well. Awesome! I will give it a listen! If you interested, I would love to have you as a guest on the Midnight Cinephile podcast sometime! After the Halloween episode, my co-host had to unfortunately drop out of the podcast. I had tried several times to revamp and restart the podcast but one thing or another happened and it kept getting delayed. So now the plan is to have a new guest every episode until someone clicks and becomes permanent! I can already see I'd need a co-host for a podcast. Otherwise, it would just end up sounding like a monotonous classroom lecture. Suprisingly, Adrienne has expressed an interest in guesting. She's not gung-ho about the weird flicks, but she frequently indulges me.